In Calgary, Alberta on April 18th. In the evening, we have some in-person sessions about the Alberta election. 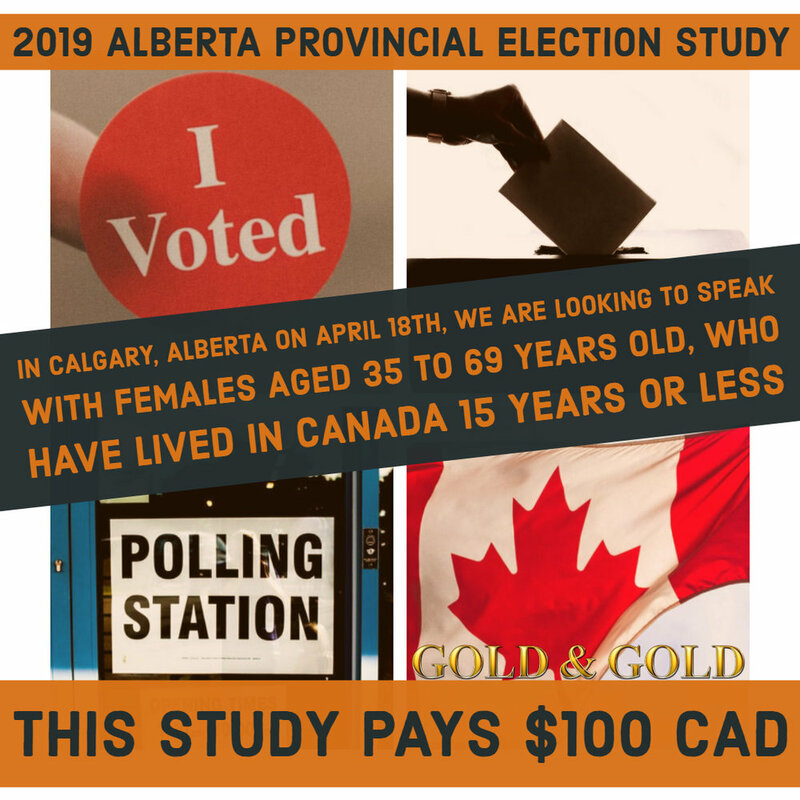 Specifically, we are looking to speak with females aged 35 to 69 years old, who have lived in Canada 15 years or less. The discussions will take 2 hours and the study pays $100 CAD.